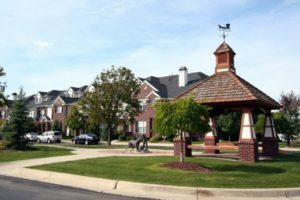 Scio Village is a charming Ann Arbor complex; these brownstone style condos are situated among amenities and surrounded by beautifully designed landscaping. There are currently no condos listed for sale and so far this year, 17 have sold. $326,000. 301 Scio Village Ct. #154, Ann Arbor. 1581 sq. ft., + 1052 in finished lower level, 3 bedrooms and 3.0 baths. $259,000. 273 Scio Village Ct. #123, Ann Arbor. 1581 sq. ft., + 1150 in finished lower level, 3 bedrooms and 3.0 baths. $241,500. 273 Scio Village Ct. #242, Ann Arbor. 1500 square feet with 3 bedrooms and 2.0 baths. $240,000. 331 Scio Village Ct. #282, Ann Arbor. 1594 square feet with 2 bedrooms and 2.0 baths. $239,000. 229 Scio Village Ct. #216, Ann Arbor. 1586 square feet with 2 bedrooms and 2.0 baths. For a complete list of Sold Condos at Scio Village, Ann Arbor, contact us at (734)761-3060. Last year at Scio Village, 10 condos sold with an average sale price of $225,805 and an average price per square foot of $176.00. The 17 condos sold this year have an ASP of $231,724, up 3%, and an A$/SF of $169.00, down 4%. To learn more about condo values at Scio Village, contact the condo specialists with The Bouma Group at (734)761-3060 or email info@bouma.com. View more Ann Arbor condominiums here! 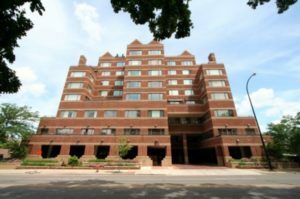 Sloan Plaza is a luxury Ann Arbor complex located in the heart of downtown with many deluxe features such as: a secured entry with door person, covered parking, a spectacular view and more. There are currently 4 condos listed for sale and so far this year, 1 has sold. $750,000. 505 E. Huron St. #409, Ann Arbor. 1598 square feet with 2 bedrooms and 2.0 baths. $660,000. 505 E. Huron St. #307, Ann Arbor. 1673 square feet with 2 bedrooms and 2.0 baths. Last year at Sloan Plaza, 2 condos sold with an average sale price of $1,000,000 and an average price per square foot of $404.00. The 1 condo sold this year, had a selling price of $875,000, down 13%, and a price per square foot of $468.42, up 16%. Note: the condo sold this year has 694 square feet less than the average of the condos sold in 2016. To learn more about condo values at Sloan Plaza, contact the condo specialists with The Bouma Group at (734)761-3060 or email info@bouma.com. View more Ann Arbor condominiums here!